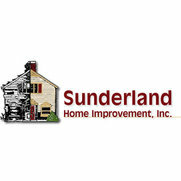 2 Reviews for Sunderland Home Improvement, Inc. Excellent work, on time, pleasure to work with and final product better than expected. Showed up when he said he would, crew was very polite and very neat, cleaned up each day before they left. I am using him again for another project in a few weeks. Absolutely recommend! Sunderland Home Improvement did an awesome job powerwashing and painting our home. They provided a detailed estimate that was competitive with the 4 other painters I contacted. They came exactly when they promised and finished the job very efficiently. The house looks so good and I will certainly use this company for any future home projects that I have!!! 2 Ideabooks for Sunderland Home Improvement, Inc.